Superior dress socks made in Italy of a fine Egyptian cotton blend. Light and soft in stay-bright colors. 80% cotton/20% nylon. Machine wash. Single pair. One size. 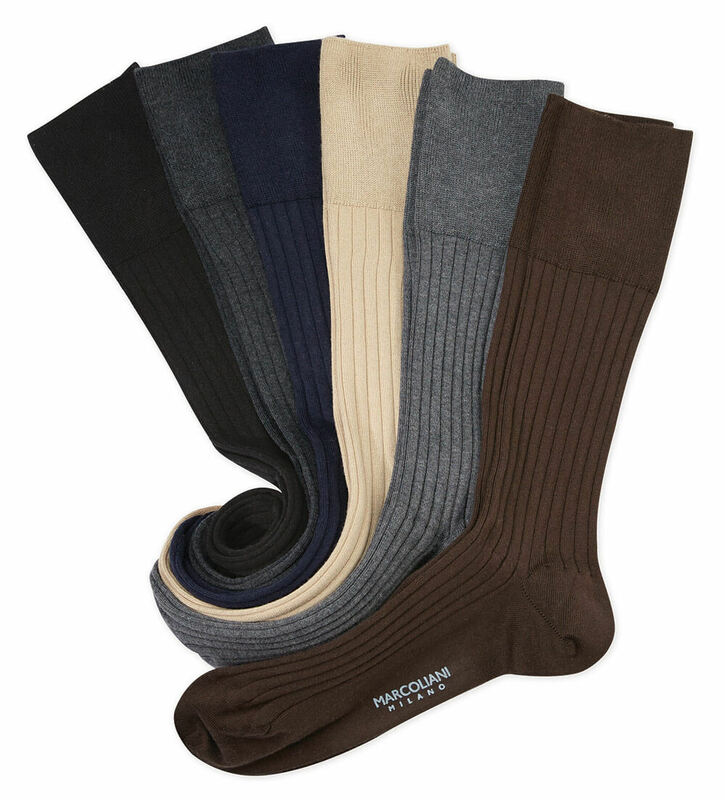 Colors right to left:Military, Mud, Azure Blue, Khaki, Charcoal, Black, Ocean, Asphalt, Navy.